Frequently Asked Questions #2 - YeastInfection.Org by Eric Bakker N.D.
1. Why can’t I lose weight despite going on multiple diets and following different exercises? Losing weight and keeping those extra pounds at bay is something most people struggle with. Add to that the possibility that your weight loss journey may be hindered by an infection. We are talking about a candida overgrowth in your body. Candida can wreak havoc to your weight loss plans by affecting your metabolism. Since candida thrives on sugar and uses it as its main source of fuel, it may be causing you to crave sugar. Due to the cravings, consuming sugars and carbs can aid candida in multiplying furthermore in your body. This can lead to excess weight gain for those suffering from this condition. Candida is also responsible for disrupting hormones. The hormonal imbalance in your body can also lead to weight gain. 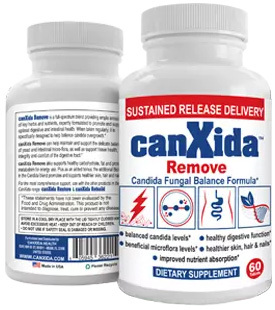 Candida can release two toxins in the body which impair nerve and liver functioning: ethanol (alcohol) and acetaldehyde. Having the large amounts of alcohol flowing through your blood can burden your live, which affect your blood sugar levels, which in turn can cause you to put weight. 2. How important is it to eat gut friendly foods to sustain long term good health? It is very important! We know now that gut friendly foods help us sustain good long term health, both physically and mentally. However, this takes patience and time. If you have been consuming junk foods most of your life, making the change to eating gut friend foods might be a little hard at first. But it’s not too late to start. The beauty about our bodies is that it is continuously renewing and generating. In just about 24 hours, your body is capable of replacing existing microbes with new ones. If you diligently follow a healthy gut friend diet, in a few months, your body will respond. You will feel the fog lift up, the dizziness disappear. Those who have followed a Candida cleanse diet have felt the difference in their mood, their behaviours and overall wellbeing. In modern times, it might be hard to find foods that are gut friendly. Most foods found nowadays are processed, high in amounts of sugar and carbs – all things that can lead to a candida overgrowth in the body if not kept in check. 3. My doctor says I need to eat foods that promote good gut bacteria. Why is that? There are around 30 to 40 trillion bacteria which work hard to keeping your gut healthy and promoting a balanced mind and body equation. This can only happen if you are treating your body with respect and putting in it the right food which promotes good gut bacteria and flora. We now know, through research, that gut health is important to producing neurotransmitters like serotonin, dopamine, etc to regulate your mood. The microbes found in our gut are also responsible in affecting the way our body stores fat, regulates glucose in our blood, and so much more. The good gut bacteria in our bodies help digest nutrients, absorb them appropriately, fight against infections, flus, and carcinogens. How does your body do all that? You got it – through food! What you consume in solids and liquid directly affect the environment of your gut. You may have heard of probiotics and prebiotics. Essentially, they are responsible for having good gut flora in your body. You can find probiotics in fermented foods, certain fruits and vegetables, in grains. They can also be found in the form of pills, power and liquid. Your doctor is encouraging you to eat such foods to avoid an overgrowth of candida in your body. Candida overgrowth can be seen as vaginal yeast infection, oral thrush, or other fungal infections in the body. By keeping the good gut bacteria in check, you will prevent yourself from falling to the pesky yeast takeover. 4. Why do I have insomnia even though I am healthy? Poor sleep can have many different causes. Often, it can be a result of stress of some sort which leads people to eating too late, going to bed too late, getting little to no exercise, increasing alcohol consumption (wine is notorious for causing sleep problems), poor diets, emotional stress, etc. While candida can cause insomnia, it is more likely that some kind of stress causes a digestive issue – making the person more vulnerable to any kind of infection – including Candida. Consider getting a comprehensive stool testing to see if candida is the true culprit behind your insomnia. If it turns out that candida is why you have been having trouble falling asleep, try the Candida Cleanse to see if it helps with restoring your sleeping patterns back to regular hours. Having a healthy gut can do wonders to one’s mental state. In the meantime, Eric Bakker suggests trying 400mg magnesium glycinate before bedtime to help with getting sleep. If, after a stool test, candida turns out NOT to be the reason behind your insomnia, try out some natural ways of helping your brain to relax and eventually helping you to sleep. This could include incorporating yoga and meditation to your weekly routine, eating clean and trying to deal with stress effectively. Other things that may help is avoiding any sort of over stimulation right before your bedtime. This includes not consuming any drinks with caffeine in it, MSG in food, turning off all technology at least 30 minutes before your bedtime. Not getting your regular sleep can, however, leave you body vulnerable and more prone to infections and other diseases. During your sleep is when your body is recharging and fighting off infections to restore back to its healthy place.